Conference Series Ltd invites all the participants across the globe to attend World Conference on Climate Change Valencia, Spain. Douglas Ray is Director of Strategic Partnerships at the U.S. Department of Energy’s Pacific Northwest National Laboratory. He is a Fellow of the American Association for the Advancement of Science and serves on the Editorial Advisory Board for the ACS journal Energy & Fuels, the Carbon Capture Simulation and the Joint BioEnergy Institute Boards of Directors, the Advisory Committee for the Dalian (China) National Laboratory for Clean Energy, the International Energy Agency's Experts Group on Science for Energy, and the Scientific Advisory Committee of the DOE's Combustion Research Facility. He holds a Ph.D. in Chemistry from the University of California-Berkeley. Limiting global warming requires that net emissions of greenhouse gases ultimately be reduced to zero. It is becoming increasing probable that “negative CO2 emissions” will be required to limit global warming to 2o C. I will discuss this thesis, various approaches to negative CO2 emissions, the scientific challenges associated with these approaches and offer a prognosis. Olga Kalashnikova is an aerosol scientist on the Multi-angle Imaging SpectroRadiometer (MISR) team at the Jet Propulsion Laboratory (JPL), and a science team member of MISR, PACE and MAIA satellite teams. She graduated from the University of Colorado, Boulder with a Ph.D. degree from the Department of Astrophysical, Planetary and Atmospheric Science (APAS) in 2002, and joined JPL in in the fall of 2002 as a National Research Council postdoc. She has been serving as a vice-chair of COSPAR comission A since October of 2012, and as a member of Atmospheric Observational Climate Panel since March of 2016. Airborne particulate matter (PM) is currently recognized as a top environmental risk factor worldwide, responsible for ~3 million premature deaths per year. While PM is a well-known cause of heart disease, cardiovascular and respiratory illness, low birth weight, and lung cancer, the relative toxicity of specific PM types—components having different sizes and chemical compositions—is currently poorly understood. Based on solid evidence that health effects depend jointly on PM size and composition, the World Health Organization has stressed the importance of filling this gap in our understanding of the associations between specific sources of PM types (both natural and anthropogenic), particle atmospheric transport, and health impacts on a global scale. That knowledge would help to prioritize PM source-specific intervention and emission control policies to maximize protection of human health. We will summarize PM information available from current generation of aerosol-specific satellite instruments: MODIS (multispectral), MISR (multispectral, multi-angle), and POLDER (multispectral, multi-angle, polarimetric), and review applications of these measurements for epidemiological studies. In addition, we will discuss a pathway toward identifying the most toxic components of PM that occurred recently with the selection of the Multi-Angle Imager for Aerosols (MAIA) investigation as part of the NASA Earth Venture Instruments (EVI) program. MAIA is a targeting instrument that will acquire observations over roughly a dozen globally distributed metropolitan areas with science focused specifically on the PM types/health connection. This means that the MAIA targeted approach is a pathfinder toward a more powerful, global, space-based aerosol and PM measurement system. Norman P.A. Huner is a Tier 1 Canada Research Chair in Environmental Stress Biology and the founder and Principal Scientist of the Biotron Centre for Experimental Climate Change Research, University of Western Ontario focused on the elucidation of the mechanisms by which plants, microbes and insects sense and adjust to climate change. Dr. Hunerwas elected as a Fellow of The Royal Society of Canada in 1995 and was the past Director of the Life Sciences Division, Academy III, the Royal Society of Canada as well as a past president of the Canadian Society of Plant Biologists. Since 1980, his research group has pioneered the concept of excitation pressure as a redox sensing mechanism in plants, algae and cyanobacteria. Daniel Arnon first proposed the notion of a ‘grand design of photosynthesis’ in 1982 to illustrate the central role of photosynthesis as the primary energy transformer for all life on Earth. However, I suggest that this concept is also consistent with the broad impact of the chloroplast not only in global energy transformation but also in the regulation of plant growth, development and ultimately crop seed yield. I review recent data that support the important roles of chloroplast redox imbalance in governing plant acclimation to abiotic stress through localized, intracellular retrograde signal transduction pathways as well as long distance, intercellular signal transduction pathways within a single plant. We suggest that the family of nuclear C-repeat binding transcription factors (CBFs) may be critical components that link enhanced photosynthetic performance and chloroplast redox regulation with the accumulation of growth-active gibberellins,the dwarf phenotype, and increased seed yield under controlled environment conditions in overwintering cultivars in an array of plant species. We show that the controlled environment data for enhanced wheat seed yields confirm 60 years of seed yield data from the field. These data are discussed in terms of the molecular mechanism underlying the development of semi-dwarf cereals which were the basis of the green revolution of the 1960s. Based on differential seed yield data worldwide, we propose that, in the short term, the gaps in wheat seed yield between Europe, China and North America since 1964 could be reduced by increasing the area seeded with winter versus spring wheat varieties. In the long-term, exploitation of CBF overexpression by either classical plant breeding or through biotechnology may contribute to either the maintenance or perhaps even the enhancement of crop productivity under future climate change scenarios. 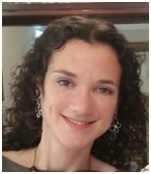 Paula Fernández González is an Associate Professor of statistics and econometrics at the department of applied economics, University of Oviedo. She has worked for fourteen years in the fields of Energy and Environmental sciences, focusing on statistical methods, economic modelling and econometrics, and paying particular attention to index-based decomposition methods. She has published a book and more than 10 papers in international reputed journals. She is also a regular reviewer in journals such as Energy, Energy Policy, Energy Economics, Energy Efficiency, etc. She is Editor of the Journal of Economics Studies and Research, and participates in several research projects. Concerns on rising concentrationsof CO2 in the atmosphere and global warming have increased in recent years. Numerous environmental studies analyze the trends in CO2 emissions and their main drivers. In this paper we focus on the dynamics of the carbonization effect as a driving force for CO2 emissions in the European Union (EU). By implementing the Sato-Vartia logarithmic mean Divisia index method, the trend of European emissions in the 2000-2010 period is factorized by both sector and country. The analysis stresses the relevance of the carbonization and intensity effects in order to reduce emissions. Then, based on so-called attribution analysis we present a new theoretical framework that enables the attribution of both economic sector and individual EU Member State to percentage changes in the carbonization index. Results show strong concentration of this reducing influence in some big economies. In fact, Germany, the United Kingdom, France and Italy have contributed by more than 50%. Industry emerges as the most influential sector, contributing to offset any improvement in the carbonization index. Our findings suggest strategies aiming at encouraging innovation, technical change, research on higher quality energies, fuel substitution, and installation of abatement technologies, particularly in the industrial sector of large economies. Neil Holbrook is Associate Professor of Climatology and Climate Change, and Deputy Head, Centre for Oceans and Cryosphere within the Institute for Marine and Antarctic Studies at the University of Tasmania. His interests and expertise are in the ocean's role in climate, ocean and climate dynamics, climate variability, extremes, climate change, and systems science. He led Australia's National Climate Change Adaptation Research Network for Marine Biodiversity and Resources from 2009-2013. Neil is President of the International Commission on Climate of IAMAS/IUGG and Fellow of the Australian Meteorological and Oceanographic Society. Adverse impacts of marine heatwaves (MHWs) include shifts in marine species ranges, local extinctions and economic impacts on seafood industries. Global patterns of MHWs suggest that their magnitude, timing and distribution may be driven by known modes of climate variability. Importantly, drivers represent a combination of both local and remote processes — with the remote, larger-scale processes offering the potential for MHW predictability. Here we have (1) undertaken a systematic and comprehensive search of observed MHW events reported in the peer-reviewed literature, (2) synthesised and critically assessed reported details of the characteristic drivers and oceanographic processes that caused them, classified by ocean climate region and time scale under a common framework, and (3) performed a meta-analysis of these events based on high-resolution global sea surface temperature records – providing unified estimates of MHW event intensity, duration and spatial extent. We have also used historical records of satellite observations, in-situ measurements, and monthly in-situ SSTs to reveal significant global trends in marine heatwaves over the past century. Both the frequency and duration of MHWs have doubled since 1900, resulting in a four-fold increase in the global number of annual MHW days. These increases were generally consistent with average sea surface warming. Continued increases in MHWs, as anticipated with accelerated warming of the Earth during the 21st century, will have serious implications for marine ecosystems, biodiversity and major industries fisheries, aquaculture, and tourism. Sangseom Jeong is a professor of Yonsei University, a vice president of Korean Society of Civil Engineers (KSCE), a corresponding member of TC212 (Deep foundations) in ISSMGE(International Society of Soil Mechanics and Geotechnical Engineering), a chair of Asian TC-18 (Mega Foundations), a president of GIT4CC center. He has authored and served as a reviewer for many geotechnical journals. He has co-edited 15 national geotechnical engineering text books and authored about 66 SCI articles in major reputable international journals, 128 national journals, 73 interrnational conference papers, 80 technical consulting reports and 30 patents in deep and shallow foundations, excavation and slope stability. Climate change causes increase in global temperature, different patterns of precipitation, and sea-level rise, which negatively affect performance of infrastructure. Infrastructure needs to be adapted to the climate change through new design, construction, or rehabilitation methods. For effective planning of infrastructure adaptation, before-and-after-adaptation analysis is important to understand the impact of climate change on infrastructure. In the past ten years, the frequency of natural disaster impacting urban area due to adverse effect of climate change has increased drastically due to flood and slope failure causing live and damaged infrastructure. Adaptation to climate change is a complex process which can be characterized as decision making under uncertainties. Climate hazard for the infrastructure can constitute socio-economic problems. They can result in damage and destruction to residential and commercial properties; and public infrastructures, endangering public safety. The cost associated with the resilience of infrastructure can be quite expensive. The Green Infrastructure Technology for Climate Change (GIT4CC) center aims to develop civil infrastructure adaptation technologies for climate changes based on mid- and long-term predictions of climate changes. To develop the adaptation technologies in planning, design, and maintenance of civil infrastructure, the GIT4CC center is composed of three major subjects; 1) Climate and hydrological scenario creation for understanding the climate change impact on civil infrastructure, 2) Development of civil infrastructure adaptation technologies based on climate scenarios and impact analyses, 3) Optimization of proactive adaptation strategies using probabilistic evaluation. It is expected to guide decision making in prioritizing the most cost-effective adaptation strategies for infrastructure.